Now, where do you find an editor? You can post physical or virtual notes in your area to solicit local teachers or English majors, but though they may be an economical choice, teachers and English majors are not necessarily good editors. You can put projects up for bid on Web sites like Guru.com, but it’s a complicated process, and many editors who offer their services on the site are underqualified or are not proficient in American English or British English. (And if you lowball the rate you’re willing to pay, you’ll get what you paid for.) Employment sites such as Media Bistro are effective for finding media professionals but not so much for obtaining help with fiction projects or small-scale assignments, and posting employment listings can be pricey. Good points. One of the important things I’ve found with editors is that it is soooo much easier to work with one who understands and likes the genre you have written in. When there is a mismatch, I can spend hours explaining points that would be obvious to a fellow genre fan, or arguing about technical issues that the editor finds confusing but which would be commonplace to the work’s intended audience. When there is a match, the process is infinitely smoother, faster and less frustrating. I die a little on the inside every time I see the cost, but I also know how hard it is for me to edit my own work as opposed to someone else’s. Thank you for posting this and helping clarify the different types of edits. Very informative. I must admit I have never hired an editor before for any of my work. But I have had a few of them do sample edits and I was quite impressed. Truly, every writer needs an editor. They not only improve the quality of your work, but also provide help in areas that you never knew or considered. Grammar, punctuation, and spelling errors take readers out of the reading experience by drawing attention to the errors rather than the message. Editors find and fix those errors. 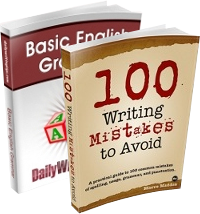 Errors can make the writer appear uneducated and unprofessional. If a business is careless about what it publishes, readers may wonder if it’s as careless with the products or services provided. Error correction is just one level of editing. Sentences, paragraphs, and pages need to work together. 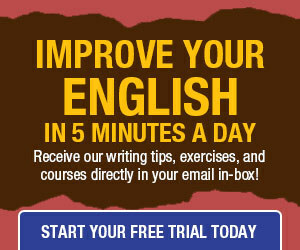 People with good English grammar don’t necessarily have the skills or training to organize and present content well. If key points are missing, buried, or unclear, readers may not keep reading. This is the right column at the right moment for me, I’ve mulled over how to do this for the past few months and now the time should be right to push this forward. I never thought about Craigslist for that, even though I’ve checked those writers listings for other reasons than editing. I’ll have to check again. I’ll have to link to this article on my site or my Twitter, as potential clients will probably find it very useful. The only thing that made me raise a brow, though, is that it costs seventy-five dollars to post a job listing on Craigslist. Is this true? That sounds like a lot. Howdy! I’ve been a proofreader by trade since the late ’80s. Let me just defend our breed by saying that we correct a lot more than simply typographical errors. Most of us do a sort of copy editing, really. If I am proofing a layout/prepress copy, I am expected to check for formatting (headers, footers, font issues, spacing issues) as well as as much fact-checking as I can. In other words, I question everything. We proofreaders are usually the last line of defense between a work and final print. I’ve found that the copy editors before me on most jobs are too “big picture” oriented and often miss a lot of grammar and fact issues while searching for ways to rewrite phrases here and there. Just my two cents as a long-time proofreader for various publishers and authors! Thank you for posting this informative piece and for making the distinction between (1) substantive editing, (2) copyediting, and (3) proofreading. As you pointed out, location is not necessarily an issue when it comes to this kind of work, and much of it is done remotely. I am a freelance copyeditor and proofreader, and so far, the only contact I have had with clients (both publishing houses and individuals) has been online. I would like to add another great source for finding copyeditors and proofreaders (and other writing/publishing professionals): Editorial Freelancers Association (EFA), . There, you will find a directory of members and also a Job List area where writers/clients can submit their job descriptions. How right you are that editing is not the place to cut corners. Publishers and agents receive far too many manuscripts to bother with those that are poorly presented. If you have a fabulous idea for a book or article, then do it justice by presenting it fabulously; don’t let an agent consign it to the trash bin simply because you wanted to save a few dollars. Paying a qualified editor is not a cost; it is an investment. To Graham’s point–that the most effective editor is the one most familiar with your genre–I will add another site to the editor shopping list. If you need someone knowledgeable about Christian texts and markets (both fiction and non-fiction), I recommend the Christian Proofreaders and Editors Network (thechristianpen.com). Editors are grouped by specialty so that you can easily find the type and level of editing or proofing you need. It’s a great resource. This is great; I am an editor (mostly copy editing, but I also proofread and do substantive editing), and this article could be titled, “How To Be A Good Client.” One thing that surprised me is hearing that most editors charge by the hour; I generally charge per-word or per-project, but am willing to bill per-hour or per-page if the client wishes. Many editors, like myself, do ask for an up-front fee, at least from first-time clients; it helps weed out prospects who are not very serious. Finally, thanks for mentioning Craigslist; I’ve gotten a lot of my work from Craigslist, and anything that gets more people posting editing jobs over there is a good thing! Great post! It’s important to find an editor who’s passionate about your genre of writing. Also, make sure the editor is the ‘right’ fit for you. Ask a lot of questions and get everything in writing. If you get a ‘sinking feeling’ in the pit of your stomach, don’t hire the editor. Ask for references and or testimonials. You want to work with someone who’s professional and personable. Excellent post! A couple additions: Writers may also encounter the term “line editor;” line editing is sometimes used interchangeably with substantive editing, but can also mean an edit that is more extensive than copy editing, but less–well–substantive than substantive editing. Then, on the other side of substantive editing, are “book doctors” who will take the process one step farther, and actually get into rewriting as well as substantive editing. Now, here is my bias–I’m a passionate supporter of experienced editors, so my suggestion about where to find these people is the reference book Literary MarketPlace, also known as the LMP, which is both online and in libraries. it’s a giant tome, but includes pre-qualified listings of thousands of reputable publishing-related service providers. Mark–As both an editor and a writer (though more often the former than the latter), I understand every concern expressed in the responses to your “How to Hire an Editor” post. Although I can’t speak for everyone in the field, I think it’s safe to say that most full-time editorial freelancers possess a certain geekiness that is satisfied only by doing what they truly love. Gone are the days when crotchety editors wielded their authority with the venomous flick of a red pen. Editing is an art and a business; writers are our clients–our bread and butter. A skilled copyeditor recognizes the importance of maintaining the author’s voice and can tweak a piece of prose with appropriate but unobtrusive changes. Yes, writers, you should go with your gut when hiring an editor, and no, the process should not break the bank. Hundreds of highly talented professionals charge fair fees for editorial work that will exceed your expectations. Cassie mentioned the Editorial Freelancers Association (thanks, Cassie! ), a reputable not-for-profit organization that connects freelancers with the people who need their services. I’ve been a member since 1994, when I made the switch from in-house editor to freelancer. I’ve landed several long-term jobs and repeat clients through the EFAJobList. So, writers, keep on writing, and we’ll keep on polishing! A bit late, I know, but someone just might read this. An hourly rate for an editor is fair only for the editor. People read at different rates, daydream at different rates, and never ever take the same amount of time to make a pot of coffee. I know the importance of having a good editor, but I think sometimes freelancers abuse of the enthusiasm of indiewriters. I paid a fortune in developmental, line editing and proofread with a team of freelancers because I was determined to make a good impression with my debut novel. When the first reviews came and complained of the editing I cried for days. I returned the MS to my team of editors and they promise to revise, but they said “they didn’t found many overlooks” and that even published books from the big 6 came with mistakes. They told me they were “too busy” to fix my MS and kept ignoring my e-mails. Finally they agreed to revise, but they only revised at proofreading stage even if there were plenty of errors that should have been found at the line editing stage. I kept finding errors, and so did my Amazon reviewers so I asked for a refund, but they only refunded the money I paid for proofreading. My advice if your budget is limited and you can’t pay for an editor who has edited a number of bestsellers? Never trust an editor who charges per hour. A true professional shouldn’t need you to pay for their coffee breaks. Don’t put all your eggs in a basket. I found fantastic editors on Fiverr and College students from my local university. I hired a total of 56editors for my 1030000 manuscript that cost half the money I had paid originally. They took a chunk of the manuscript each and revised not only my mistakes, but also the work of the other editors. They were very thorough and determined to not be the ones who gave a wrong suggestion or overlook a mistake. They also work faster. Someone with a hawk eye will spot a typo in a 10000 chunk piece in less than an hour. Oh my goodness, Sarah, what an awful experience! I’m so sorry you had to go through that. I’m going to chime in on the “per-project is fairer than per-hour” bandwagon. I charge per project, as I think per-hour makes authors nervous. How do they know they’re not paying you to sit around for a week? And definitely, definitely, get a sample edit first! Any editor worth their red pen will do this for free. That sample should give you an idea of their skill and what your manuscript will look like in the end. There’s zero excuse for an copy editor to give you back a manuscript that is so noticeably full or errors that readers comment on it. That just pains me to read! You do get what you pay for. I have found that some of the bargain freelance sites (like Fiverr or Upwork) are a race to the bottom of the barrel. People with no education or professional experience at all compete to see who can offer editing for a few bucks, and many times they don’t even speak English. I won’t say you can’t find a great editor on those sites, but do be careful. Investigate their ability before you decide to give them your money. You’ve already put time and effort into creating your book, don’t jeopardize it with bad editing. I’d suggest going through a professional group (like the EFA, mentioned above) if only because membership to those groups costs money. If an editor has made the effort to join, you know they take their job seriously.